Kicking us off today is Gerry Coe. Gerry sees himself as a committed iPhone photographer. One of Gerry’s images won the BIPP Fine Art Competition and he continues to go from strength to strength. He has produced a book entitled “Travels in Tuscany with my iPhone” and he is planning another one soon. For taking images I tend to go to Camera+, I find that when shooting pictures I can focus on my main subject and then separately play around with exposures until I get what I want. 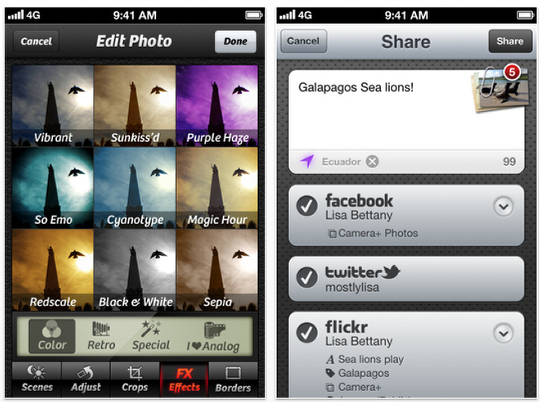 I can also edit the images within the app but I tend to take the file from Camera+ and edit it in other apps. 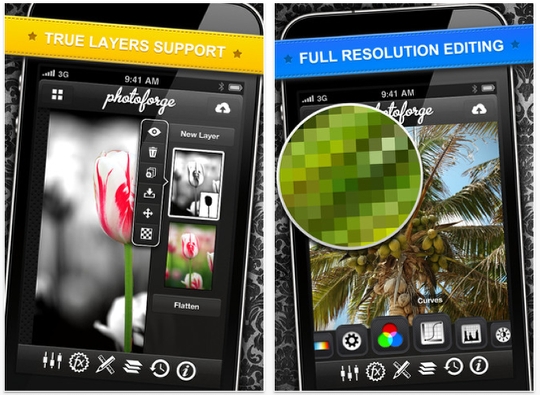 For editing I do use a range of different apps but one I always go to is PhotoForge2, there are so many different combinations. 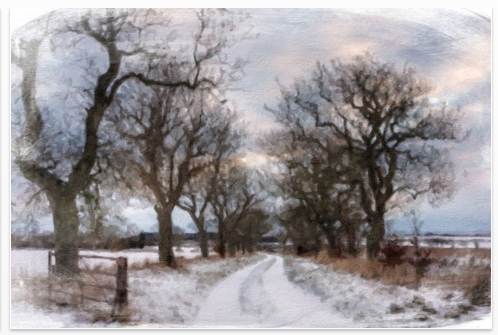 I tend to use it as a starting point to the final image although I have got many a good finished picture out it. A good point on using this app is that you can hit the FX button and then the Pop Cam button and then the automatic button and come up with a combination that you like or one that can then be manipulated to suit. 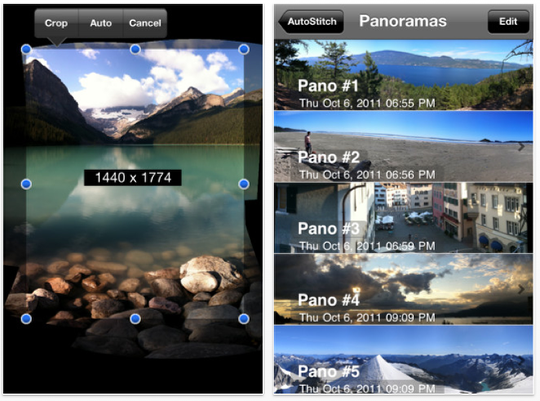 I also use layers within the app for combining images. 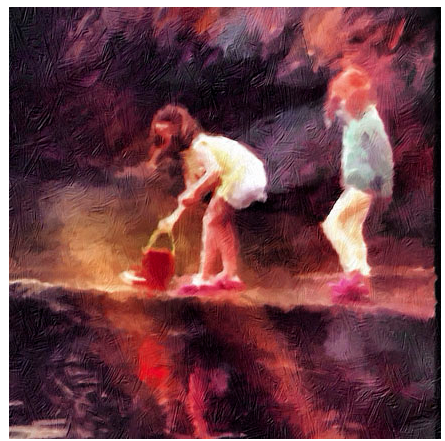 I find I am moving more towards a painterly style of image and therefore my apps are heading that way. I use ArtistaOil for a lot of my textures these may be combined with a previously manipulated image and adjusted as necessary. 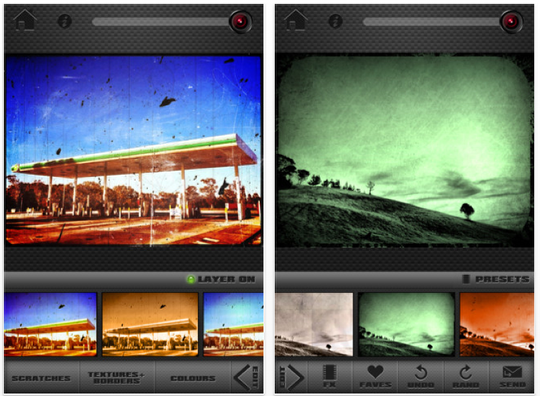 ScratchCam is everybody’s favorite and is also mine. So many ways to get lovely textures and colors. I am testing out the new version at the moment and I must admit it is really great. The Stamp feature means you can stamp on a Texture, Scratch or Color you like and then move on to add more on top. Means you don’t have to save an image and then open it up again. AutoStitch is a fantastic app, I use it for making panoramas and joining images where there is not enough room to take it all in one go. I recently did a Panorama in Spain of a mountain range,when I had got it all joined and ready for printing on my Mac it measured 60inches by 24 inches @180dpi. If I remember correctly there were approx 46 separate exposures added together to make the panorama. Great list of apps, Gerry! Thanks so much for sharing this with us!! Thanks David, It was very difficult to cut it down to five, I really like loads more!!! Great list of inspiration! Thank you Gerry!